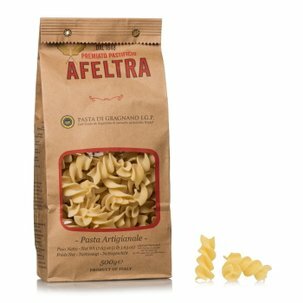 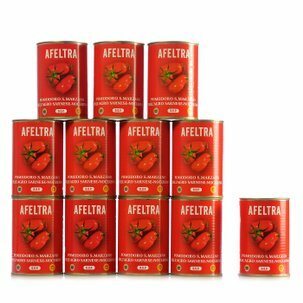 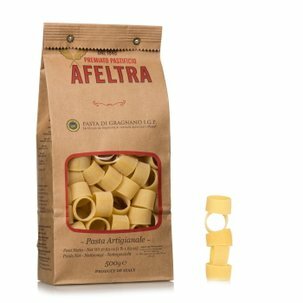 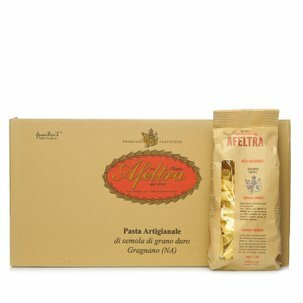 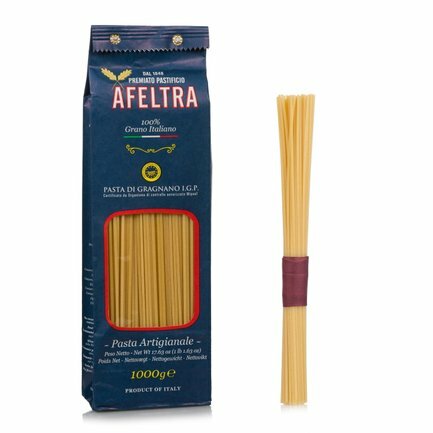 The spaghetti alla chitarra from Alfeltra, are made with carefully selected wheat semolina originating from 100% Italian wheat that is mixed with water from the Lattari Mountains, extruded through bronze dies and slowly dried for up to 48 hours. 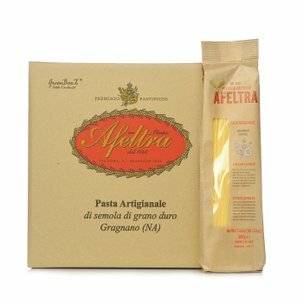 This particular production technique makes it possible to obtain a perfect square shape, making this pasta perfect for traditional Italian dishes. 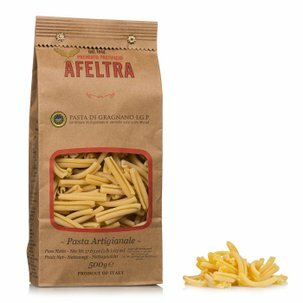 Try them instead of bucatini to make cacio e pepe or a vegetable and salty ricotta based sauce.